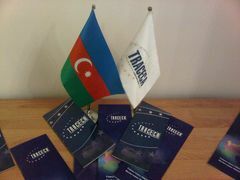 On 4th March 2011 the Parliament (Milli Mejlis) of the Republic of Azerbaijan ratified the Agreement on development of multimodal transport TRACECA. Thus, the Republic of Azerbaijan ratified all the Agreements and Protocols, adopted and signed during the Meetings of the Annual Intergovernmental Commission within TRACECA. On 16 June 2009, in Cholpon-Ata, Kyrgyzstan, during the 7th Meeting of the Intergovernmental Commission TRACECA, the MLA Parties adopted the Agreement on Development of Multimodal Transport TRACECA. The countries that signed the Agreement are Azerbaijan, Armenia, Kyrgyzstan, Tajikistan and Georgia. In accordance with the Agreement provisions, the document comes into force after its ratification by four Parties of this Agreement. So far the Agreement has been ratified by three countries – Azerbaijan, Georgia and Tajikistan.